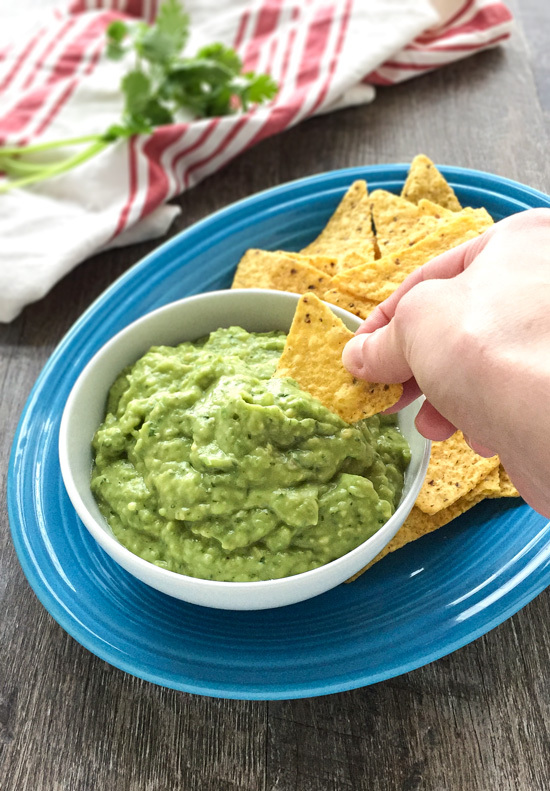 Made with fresh tomatillos and avocado, this Green Sauce is a healthy and easy dip that makes a great appetizer with tortilla chips or party dip! As a Texan, it should come as no surprise that I’m a huge fan of chips and salsa. I’ve been known to eat so many chips before our entrees arrived at restaurants that I could hardly finish my meal. I just can’t help myself. When the salsa and chips are good, it’s so hard to resist! 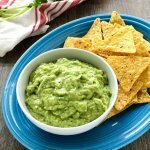 But, green sauce or salsa is something that is a more recently acquired favorite of mine. A restaurant we just started going to has a Salsa Verde that totally changed my mind about it. It’s a rotisserie chicken and taco joint called Fireside Chicken and Tacos. They are located in Rockwall, TX. If you’re in the area around lunch or dinner time, you should check them out! It’s a locally owned restaurant with great prices and portions of delicious food! You can tailor the heat level and balance of acidity to suit your own preferences. Omitting all the seeds will keep this on the milder side, but you can use as much of the seeds and ribs of the jalapeño as you like. 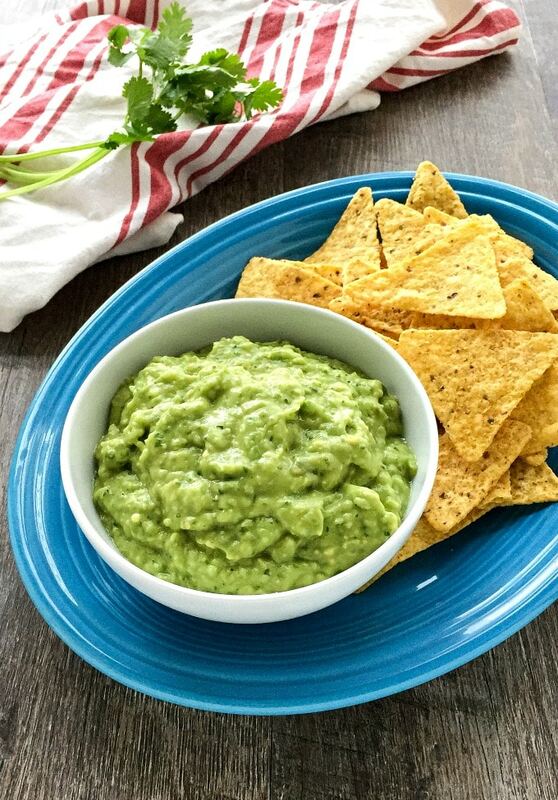 A super tasty and easy sauce for your favorite tortilla chips! Place all of the ingredients into the bowl of a food processor. Process until smooth, scraping down the sides of the bowl as needed. Place into an airtight container ( a mason jar works great!) and let chill for at least a couple of hours, then serve. Tomatillos have a sticky film on them, which is why you want to give them a gentle rinse before using. You can make this spicier by including some of the seeds from the jalapeño. By Tempie at February 27, 2018 .